AnythingWeather has built a state-of-the-science data analysis system to collect and archive weather data from over 30,000 locations around the world. As the back-end systems continue to collect, analyze, store and monitor the data feeds, our various APIs and web displays make viewing and using the information quick and easy. Below are some of the options we offer to clients worldwide. When we have clients with time-sensitive weather information being uploaded and archived in our databases, we offer a real-time monitoring and alerting service if the data flow stops. This allows our clients to know exactly when data stops flowing to repair an internet connection or software issue on-site to begin the uploads once again. As an additional feature, we can set up alerting to send text messages when certain weather thresholds are reached, such as cold temperatures or maximum wind speeds. 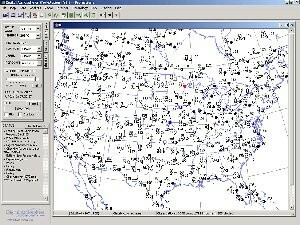 We build custom widgets to display current conditions from a weather station, 5-day forecasts and even looping radar imagery. 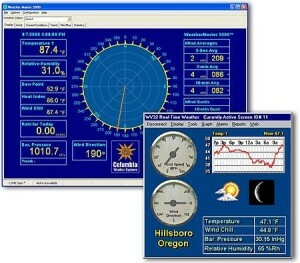 These widgets are built with iframes for quick and easy placement on any web page with a few lines of code. Whether you prefer one of our existing designs or what something completely custom, we can get it done! 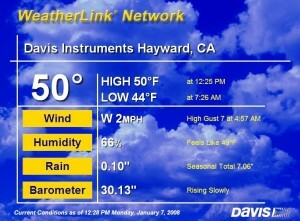 Have weather stations, sensors and cameras? Need the software to monitor and share that data? AnythingWeather has the turn-key software and web solutions you need.